The business individual is taxed for the profits only unless turnover exceed 10 million rupees. In case exceed 10 million rupees, 1.25% of total turnover is payable. Form of Taxation: Slab rates are applied. Tax Return Filing: For this type, filing of annual income tax returns is a requirement. The partnership firm is taxed for the profits only unless turnover exceed 10 million rupees. In case exceed 10 million rupees, 1.25% of total turnover is payable. While partners are not taxed separately. c) profits @ 17% Shareholders are taxed at 15% on dividends. If approved than zero, otherwise taxation of private limited company will be applicable. Tax Return Filing: For this type, filing of annual income tax returns is NOT a requirement. 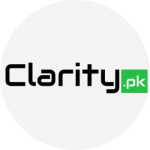 For any expert advice for #Free, contact us here https://clarity.pk/contact. For tax filing and other related #ProfessionalServices, clarity connects you with experts #WithDiscount.